1st press mono deep groove blue labels with no "Inc" after "Bill Grauer Productions" at bottom of labels. Recorded in New York; December 28, 1959. 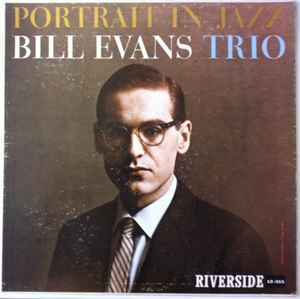 Evans first album to feature the ensemble that featured on the following three albums until the untimely death of bassist Scott LaFaro in '61. Again, there are great interpretations of standards, however the bass comes more to the forefront, it's all very good quality, a classic.